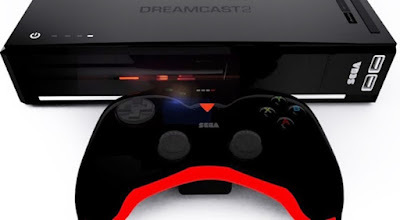 You may recall that in late 2015 the internet was on fire with rumours of the possibility of a Dreamcast 2 being looked at by Sega. Various outlets reported on the story but we chose to distance ourselves from Project Dream as it became known, as there wasn't a lot of factual evidence to back up claims of meetings with Sega and the proposals being considered. "The project has been taken offline. This is due to a schism within the team caused by inefficient and amateurish conduct resulting in members being removed and others leaving the team. In light of such unprofessional behavior and an embarrassing lack of progress, seasoned members of the gaming industry have chosen to distance themselves from the project. 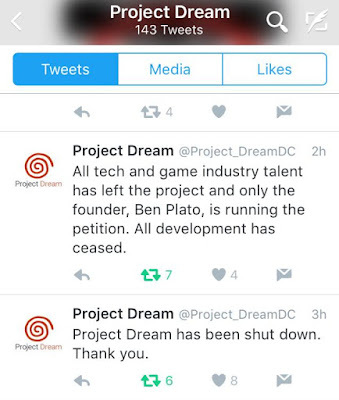 I too am stepping away from Project Dream. 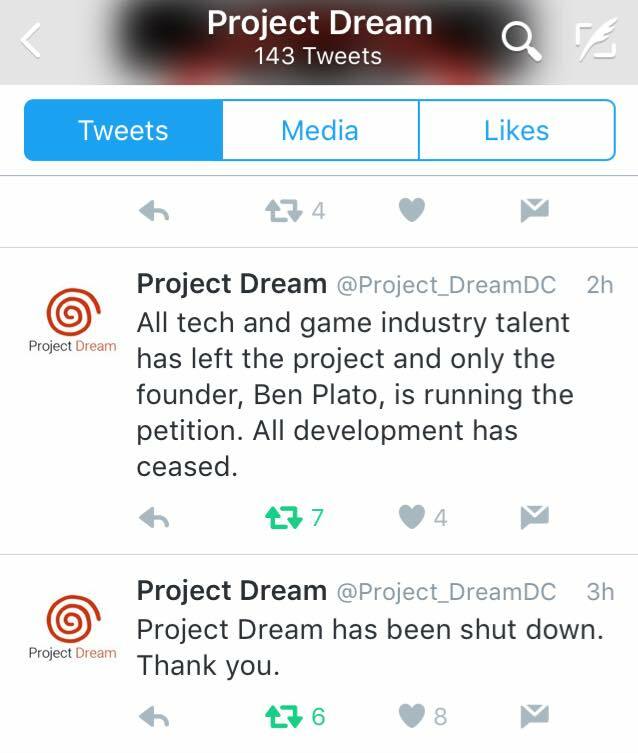 Please note the Twitter account @Project_DreamDC is no longer associated with this group." Whether or not this really does mean the end for Project Dream remains to be seen, but I have been contacted by a source close to the team who told me that the claims of a 'schism' are indeed true, and that various members resorted to in-fighting and conflicts of direction. This in turn lead to a rift between the core members of Project Dream, a rift which has resulted in the events described herein. We'll keep an eye on Project Dream and let you know if anything changes going forward. For now though, it looks like the dream of a new system from Sega will remain just that. It appears that the people in control of the Twitter and petition are not the people in control of the site or the Facebook account. They've all parted ways and salvaged what they could, respectively. Personally, what I think would be cheaper and easier for Sega to do to enter the console market again, is just slap "Sega" on a steam machine. Let it go from there. DreamCast could already have been sooo great. It was the first 128 Bit console, it had multiplayer… it was just ahead of its time, as usual for Sega. What really annoyed me was the complete lack of advertisements. At least in Germany, I have seen no (in numbers: 0, in words: zero) TV ads. No wonder they didn't manage to generate interest from the general public. It's sad. Maybe I'll remove the dust from my old DreamCast soon, and play a little. Segas consoles destroyed the competition. EVERYONE and there mother refused to make games for there consoles because they were there competition. Nintendo made like 2000 games from different publishers and they were all garbage except for the 30 or so classics we all know ofand there all from the same place (i.e konami,capcom) NOT Nintendo themselves, So people need to stop pretending and acting like Nintendo did something. Come on Sega let's do this and take back what''s ours. KINDS of he arcade's AND people's Ivins rooms. If you can believe it. I have all but refused to purchase any other system since the dream cast fell in what? 2001? THE only games that made me play a system again was the latest renditions of Street Fighter. The problem is that many Dreamcast GDs were produced with a broken machine so that many games couldn't be played after some time, best example is Shenmue... I read a lot of threats about people complaining about a not-working game. Sega could use next AMD proc (8 cores, 16 threads), 16 GB RAM, some graphic with 4 GB vRam from amd, and add Bluray 4k hdr. 4K only for movies. For games 'Full HD' is enough for next 12 years. And use cartriges for games. It will be quite courageous, but they will win the race. I remember walking through the mall when I saw sonic running down a high rise building on a giant display. It was on the dreamcast. I had to have it. Loved it. Miss it. Was excited to sign the petition on Chang.org. Now I am saddened to hear that it is still just a dream. Just make another Phantasy Star Online and I'm there sega! Developers of dream hardware and software should always approach the owners before they get started. You have to put your best foot forward to make sure that your project can go far, but it has to be something realistic and competitive without the risk of being DOA. We mentioned a concept awhile back that would still be a great idea for Sega fans if Sega were willing to let it happen with quality control in place. "SEGA Streamcast" could act like a Valve Steam Link device that's used for Steam, the UI could be different... and the plus for its owners could be that all owners get a discount on all SEGA games on steam. I think SEGAs best option is to aim at the kids of yesterday. I just got hold of Sonica Mega Collection for the PC and it brings back great memories of my teenage life. SEGA could make a console that has all the popular titles built in, I mean 100 games or so will fit on 500gb drive. They could add hdmi support and a graphics enhancement. Retro is very much alive these days. Look at the Spectrum Vega/Next. So yeah a retro console with built in games that works on hd will be a good way to warn a little extra.